If you read any home design magazines or watch any home design shows you're going to hear designers talk about texture. Adding texture to a room is a big design trend right now and it is one that easily extends to your floor. Carpet is the perfect way to bring an element of texture into the room - and we don't just mean standard pile carpet. Let's explore some textured carpet options and learn both the practical and pretty benefits of this flooring choice. Textured carpet can be made from cut pile or looped carpet. The texture comes into play based on how the yarn is treated. Tightly twisted, varying yarn thickness, or a mix of loop and twisted fibers - all add a distinct feeling and appearance of texture. Learn more about textured carpet. 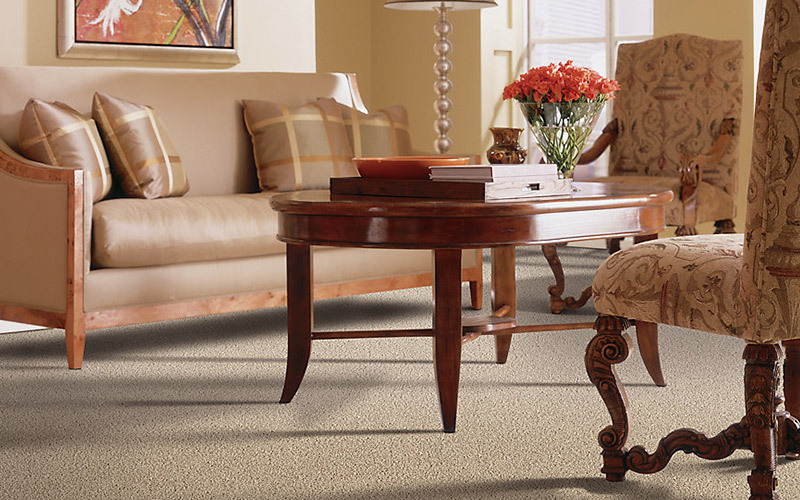 Textured carpets are a great choice for busy households and high traffic area. Those tightly twisted yarns create a very durable carpet and any style of textured carpet is less likely to show the wear patterns that you'll see in plush or standard cut pile carpets. If you're looking to add a design statement, consider textured carpets. Many textured carpets come with slightly different shades mixed in together that add a subtle element of design to any room. Other carpets combine the texture with a pattern that can be bold or delicate. 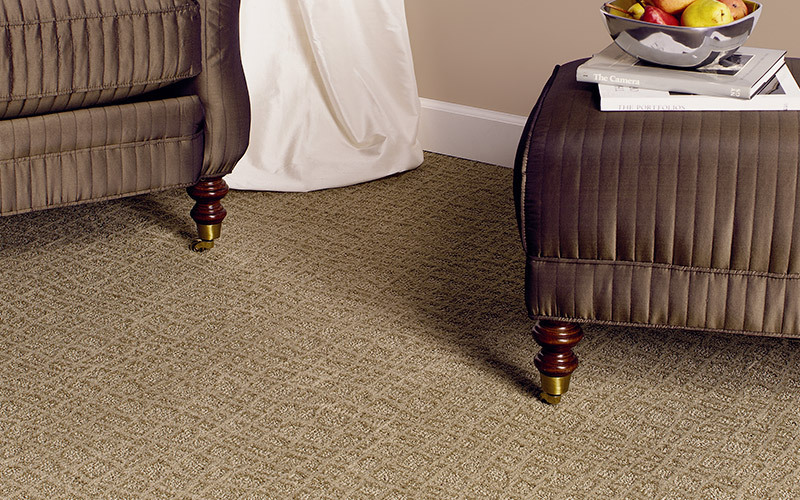 Textured carpets are a flooring choice that is both practical and beautiful. When you're in the market for new carpet, take a good look at the many options of textured carpets.